Outstanding pair of three-light Bras sconces, circa 1920s. 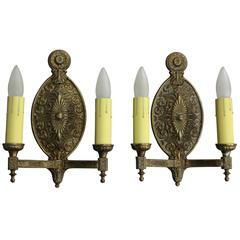 Pair of cast and wrought iron sconces with original polychrome finish. 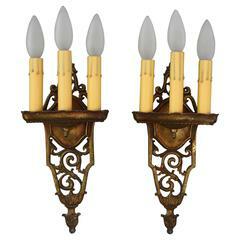 Measures: 8" H x 6" W x 5" D.
Pair of double sconces, circa 1920. Original gold tone finish. 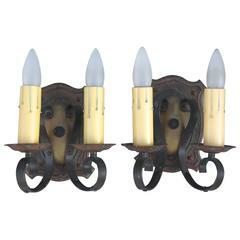 A pair of Caldwell sconces, circa 1920. 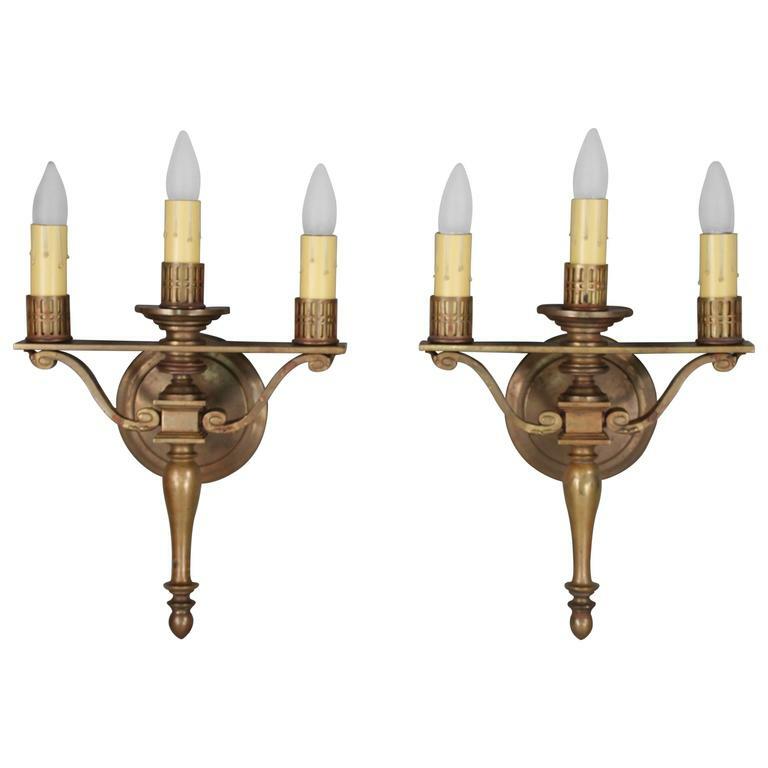 A pair of Dutch style, two-light patinated-bronze sconces. Attributed to Edward F. Caldwell & Co, New York. 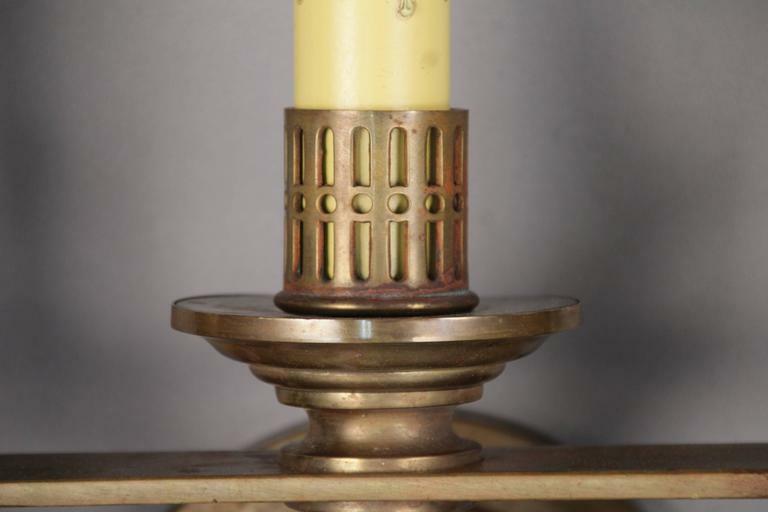 A pair of large, circa 1920 Caldwell three-light sconces with sunburst shaped crystal on backplate. 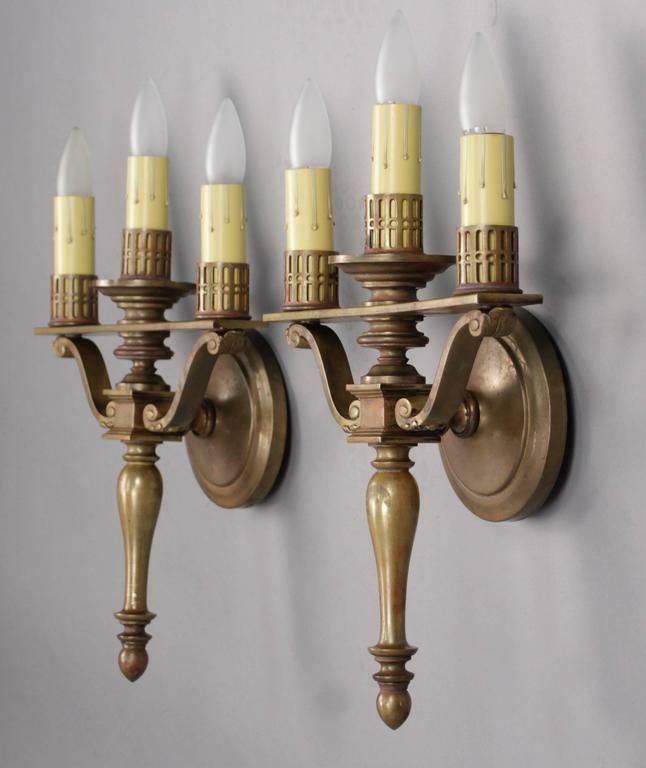 Four pairs of Adam style bronze sconces attributed to Caldwell. 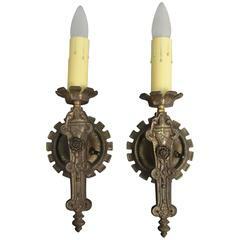 A pair of cierva, 1920 Caldwell sconces.